Korea - 7 great tour options available, inc: Seoul, DMZ Demilitarised Zone, Mt Seorak National park, Samhwasa Temple stay - Gyeongju - Korean Folk village - Busan. 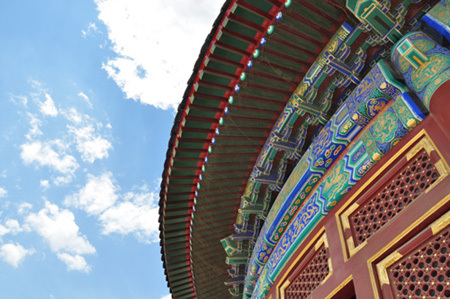 Depart from Heathrow or your preferred airport for a scheduled flight to Beijing. Meals on board. Our welcome dinner in the evening provides an opportunity to sample special Chinese cuisine combined with live music, singing and dancing entertainment. We will visit Juyongguan section of the Great Wall, which was originally constructed in the 5th century and is regarded as the most strategic section of the Wall. The section is quieter and less commercial than some other areas and it provides the opportunity to visit the Sacred Way, another highlight of the Great Wall heritage. City tour of seoul includes visiting the Blue house (presidential office), Chogesa Temple, Gyeongbokgung palace and Namdaemun Market. 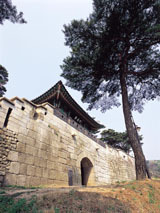 Full day tour of Korean folk village and Suwon Fortress Castle before returning to your hotel in Seoul. Transfer to Incheon airport for your departure flight to UK. Full day tour of the 3rd Infiltration tunnel at the Demiliterised zone (DMZ) on the border of North and South Korea. Visit includes Dora observatory, Dora station, Imjingak pavilion and Freedom bridge. Note: All visitors to the DMZ must conform to the stict dress code, access may be denied to visitors wearing jeans, sandals, shorts, miniskirt, evealing clothes or military style outfits. You must also have your passport on hand. Full day city tour of seoul includes visiting the Blue house (presidential office), Seoul Tower, Chogesa Temple, Gyeongbokgung palace -Folk museum, Namdaemun Market and Insadong Antique St.
Half day guided tour to the Korean Folk village at Yongin. Afternoon free to explore the vibrant city of Seoul. Half day guided tour to the main sites at the Demiliterised zone (DMZ) on the border between North and South Korea. Full day free to enjoy and explore the sites and sounds of Seoul. We leave Seoul and take a transfer tour of Gyeongju where we visit Gyeongju National Museum, Anapji Pond Cheomseongdae Observatory and the Royal Tumuli Park. Accomodation in Gyeongju. Today we take a facinating tour to see the Bulguksa Temple and Seokguram Grotto before transfering back to your hotel in Seoul. Full day city tour of seoul includes visiting the Blue house (presidential office), Seoul Tower, Chogesa Temple, Gyeongbokgung palace, Namdaemun Market and Insadong Antique St. Transfer tour to Samhwasa Buddhist Temple where we will be met by the resident monks Who will explain their life and rituals inside the temple. We will experience ritual tea drinking, 108 bows, ringing of the Temple bell and have a delicious vegetarian meal with the monks. A great experience for explorers who want to understand Oriental cultures. Accommodation will be in the Temple. A temple stay is a cultural experience designed to help people understand buddhism in Korea. The stay offers various kinds of practicing methods such as Ceremonial chanting, Zen meditation and tea ceremony. Participants can find their true self and harmonise with nature while staying in the temple. Today we tour Mt Seorak located in stunning National parkland, including a visit to Kwonkeumseong Fortress, Byryung (flying Dragon) water fall and 'moving rock'. Hotel accommodation near Mt Seorak. After breakfast we transfer back to Seoul via a fascination tour enroute to the Korean Folk village. Hotel accommodation near Seoul. We leave Seoul and take a transfer tour of Gyeongju where we visit Gyeongju National Museum, Anapji Pond, Cheomseongdae Observatory and the Royal Tumuli Park. Hotel accomodation in Gyeongju. Today we take a facinating tour to see the Bulguksa Temple and Seokguram Grotto before transfering to Busan via the Unjosa Temple. Hotel accomodation in Busan. After breakfast take a tour to see Jakalchi Fish market, Haeundae Beach and Yongdusan Park. After the tour we transfer back to you hotel in Seoul. We also provide longer and more detailed tours to Korea, which can be tailored into a multi-Country tour package. For details of our other tours to Korea see our Korean tour section, or contact us for details. Please note dates for 2008 are provisional, subject to confirmation on Yangtze River cruise sailing date. All flights including airport tax. We can also arrange your local airport departure from £65. Please enquire at the time of your booking. All airport/hotel transfers within China and Korea. Selections of quality accommodation in well furnished rooms with private facilities. Chinese and Korean Visa fee (please go to Our Visa Service for details). Flights As agent of many airline consolidators, we can obtain flights in various class, with reputable airlines such as BA, Air China, Virgin, Air France, KLM, Lufthansa, Finnair etc. We will choose airlines for you depends on the availability unless you specify at the booking stage. We can also provide land-only tours if you prefer to organise your own flights and save airmiles. Your Accommodation for this tour Carefully selected 4 and 5 star hotels in China, and 4 stars in Korea. Hotel upgrade option available at a good rate. Please enquire at the time of your booking. For details of our hotel collection, please visit our China hotels web pages. For the 1 nights Temple accomodation, Men & women separately sleep at temple on stone floor with soft mattress. There is no private bathroom, but public bathroom for men & women accomodation areas. 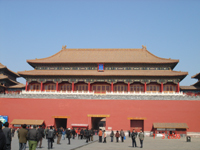 Other fact of our tour arrangement Small group tour in China and Japan. The tour itineraries are regularly checked and provides an ideal length of time to show you the sites, with free time to explore according to own interests. The itinerary is designed according to the most updated information of flights schedules available, although occasionally the sequence in which cities are visited and duration of time spent in each city can change due to local conditions which are out of our control. The above itinerary highlights the main attractions that are to be visited each day. We reserve the right to change, amend or alter the itinerary, although we will act in your best interests to handle any amendments. Please refer to the booking form for detailed terms & conditions.